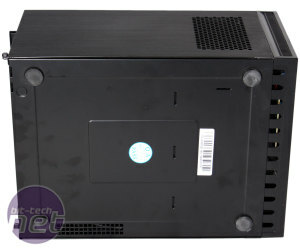 Although Antec is one of the bigger household names of the case market, it's presence in the mini-ITX segment is fairly small. Looking to change that, the company has recently released the ISK600. 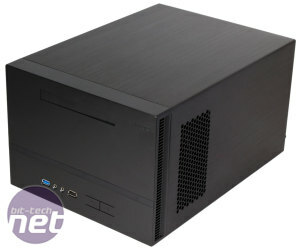 Even for a mini-ITX chassis it's on the small side, but as you'll see you can still cram quite a lot of hardware inside, and at £55 it's also very affordable, though not quite as much as the £40 Cooler Master Elite 130. 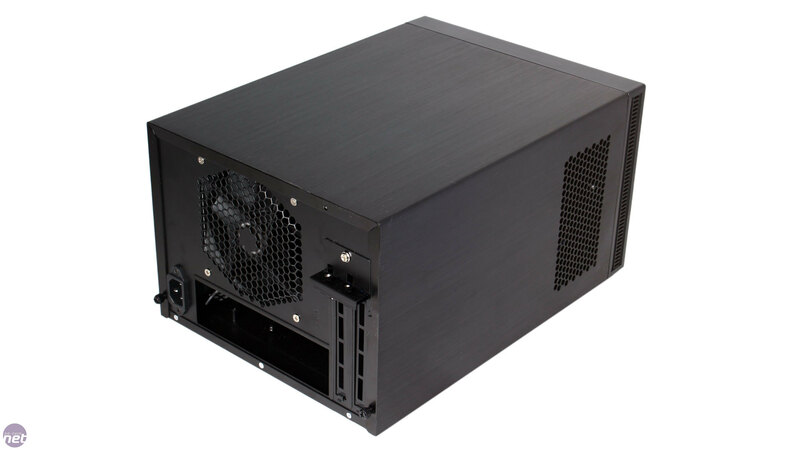 While the Cooler Master case is cheaper and has a similar size and shape, it lacks something that we think many here will appreciate about the ISK600: aluminium. 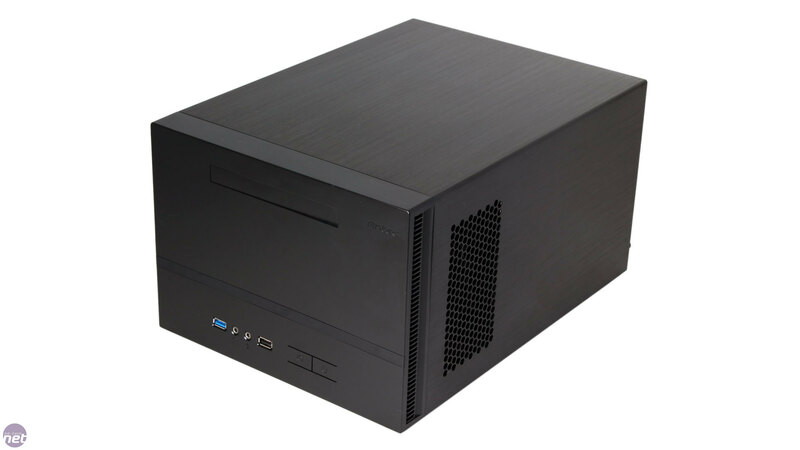 The core ISK600 chassis is built from steel, but the entire n-shaped lid is hewn from this premium case material, which helps explain the small price premium. The brushed effect is very pleasing to the eye, though it does pick up marks easily, so you'll want to give it a wipe once you've finished your build. The aluminium also has the advantage of retaining the case's great build quality while keeping it light – it tips the scales at less than 3kg. Cooling comes courtesy of a single 120mm rear exhaust fan, and this is all that there's room for without modification. 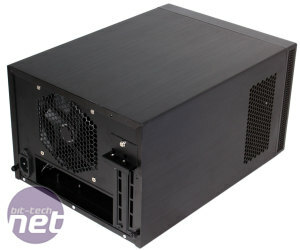 This isn't a lot of airflow by any means, but the case's small volume means that you don't need a lot to be effective. 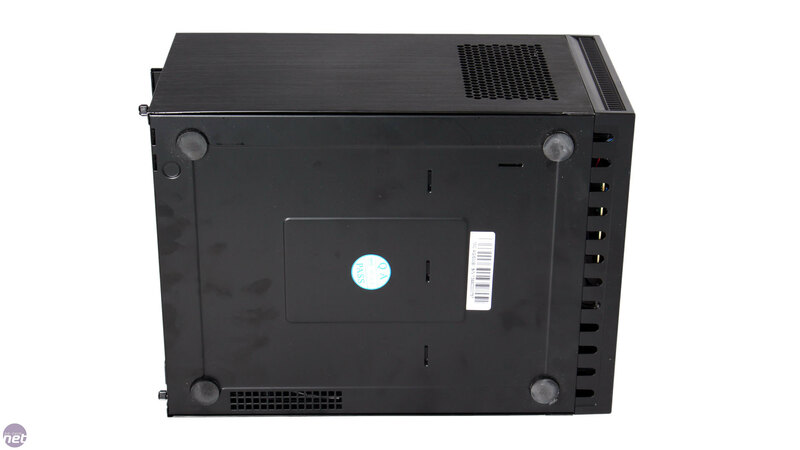 The fan will create a negative air pressure inside the chassis, which will draw air in through the small slits in the front panel as well as the larger mesh sections on the sides of the lid (which serve the GPU and front-mounted PSU). This is an effect to which internal CPU and GPU coolers will also contribute, though bare in mind there are no dust filters on this case. 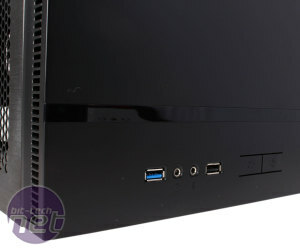 The plastic front panel is generally well built, though the power and reset buttons do feel cheap and tacky. Besides these are the standard audio jacks, as well as a USB 3 and USB 2 port, though there's no external fan control. 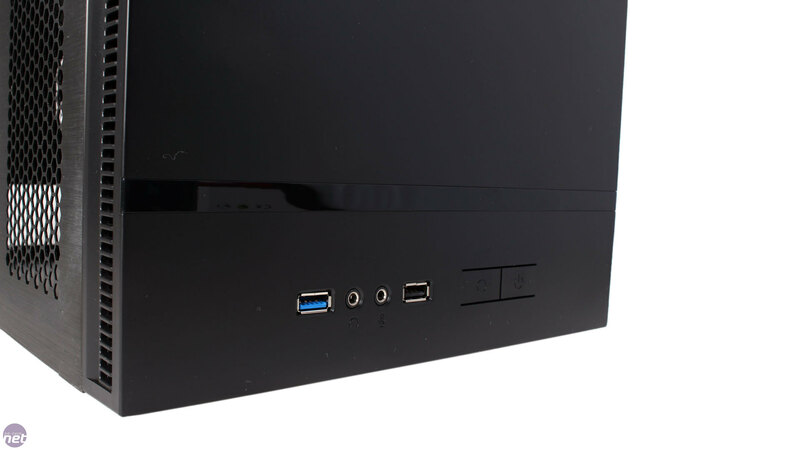 In the interests of space, Antec has opted for a slimline optical drive mount rather than a full 5.25-inch one. Above the I/O connections is also a thin strip, which is actually a molex powered light that glows blue when the system is on. Thankfully, the glow is subtle and pleasant rather than blindingly bright, and you can easily disconnect it if you find it to be a distraction. The final thing of note on the case's exterior is the set of rubber feet, which mean the ISK600 stays firmly planted despite weighing so little.